I was out walking on Konza Prairie a couple of evenings this past weekend. 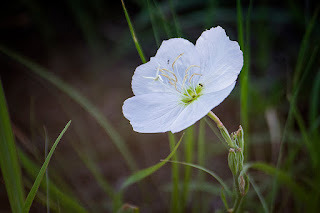 On Sunday evening during the actual Wildflower walk, I saw this beautiful example of a Showy Evening Primrose. One member of the family I was helping lead stopped to take a photo so I couldn't resist doing one as well.